I first had these vegetables about 2 years ago at a Shanghainese restaurant. The name of the vegetable was interesting, so I decided to order it and try it out. The literal translation of 雞毛菜 is Chicken Feather Vegetable… I suppose I see some physical similarity with chicken feathers. 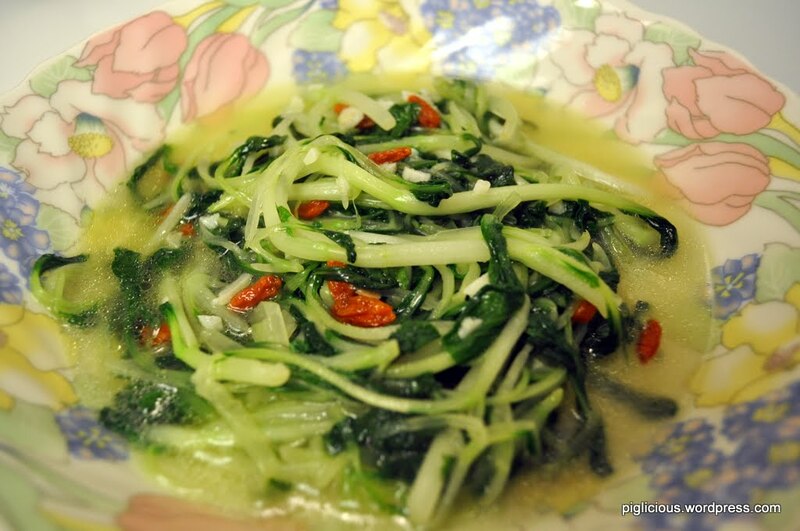 It kind of tastes like baby bok choy, but the stalks of 雞毛菜 are a lot thinner. They’ve only recently started selling this vegetable in asian markets around my area, so I’m finally able to remake the dish myself. The method of cooking the vegetables is basically the same as cooking kale. Place the pot on stove and set temperature to high. Once the pot is heated, pour in some oil, about a 2 sec pour (~1 1/2 tablespoon). When the oil is hotter, place the garlic in. 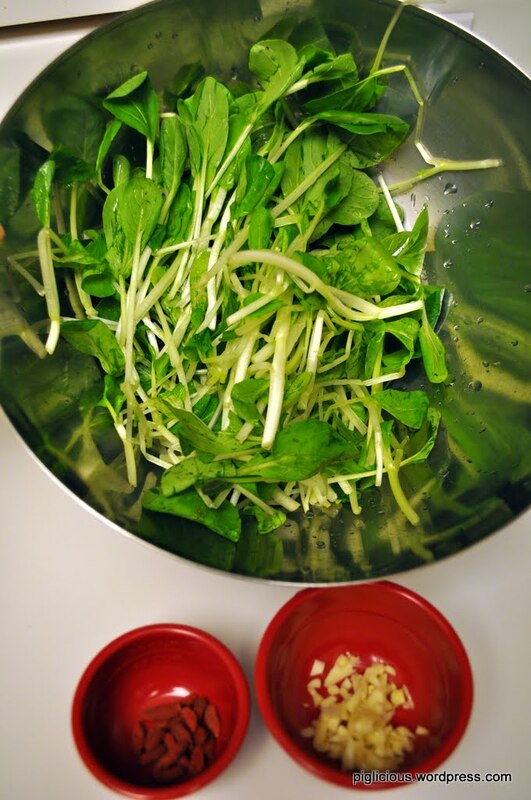 Let the garlic sizzle a little and when it becomes very light brown, toss in the 雞毛菜. At this point the pot will be crackling a lot, so quickly stir it around. Then, quickly pour about 1 cup of water in (it should continue crackling a little). Place the lid over the pot. Remove lid after about 30 secs, stir it around, add some goji berries in, dash some salt, and continue stirring so it cooks evenly. Cook for ~3 more mins. Add the 1 tablespoon soy sauce in and stir. (You can always add a little more soy sauce later if needed.) Add the shitake mushrooms and sprinkle a few goji berries in. Place the lid back on and turn the temperature down to medium. After about 5 mins, turn the temperature down to medium low. Let the soup simmer a little more and then it’ll be ready to be served. 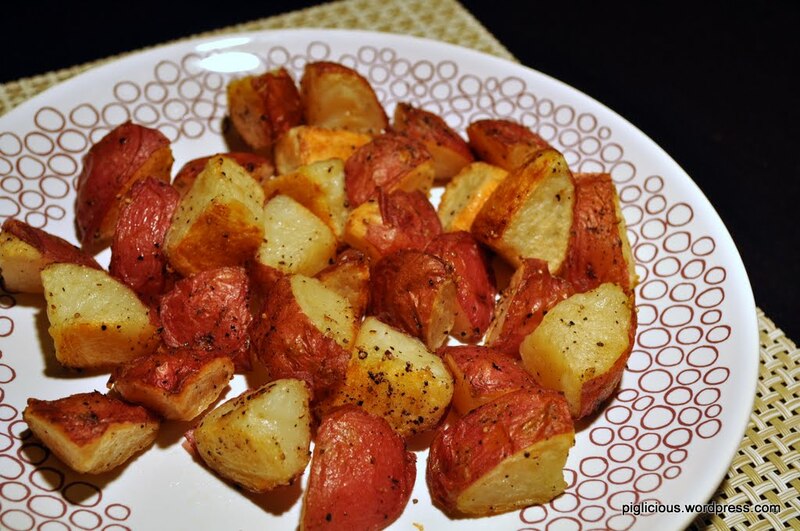 Cut the potatoes each into 12-16 pieces, depending on potato size. 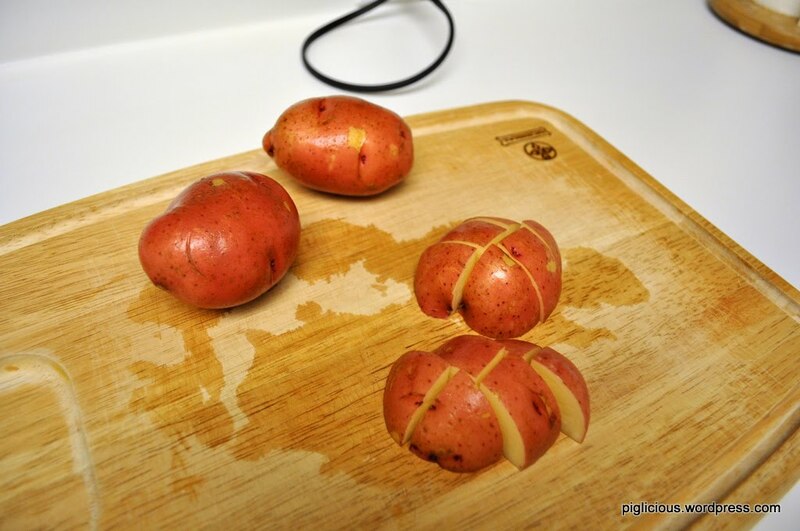 Place the potatoes in the pot. 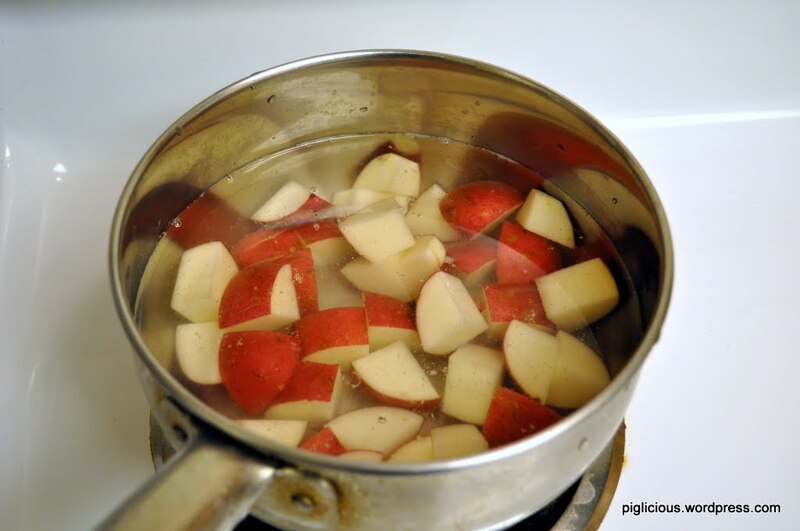 Add water that covers all of the chunks. Add a dash of salt in the water. Turn the temperature to high. When it comes to a boil, let it boil for 2-3 mins. 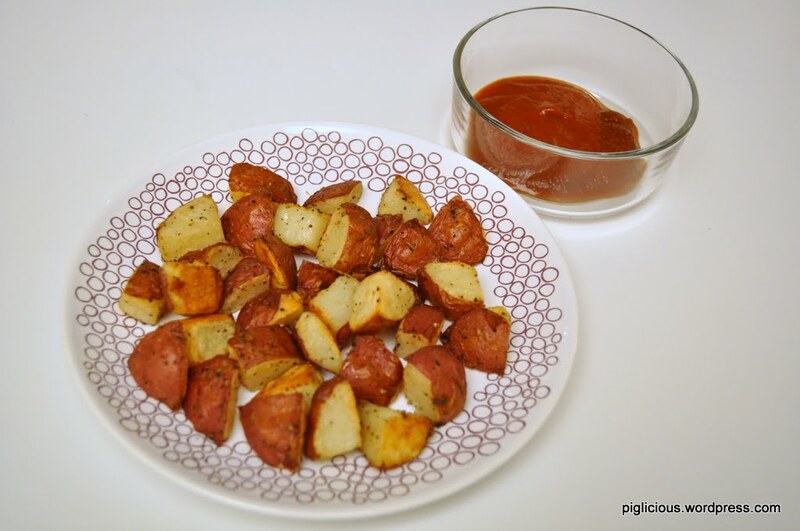 Take the pot off the stove and let the potatoes sit in the hot bath for 10 mins. 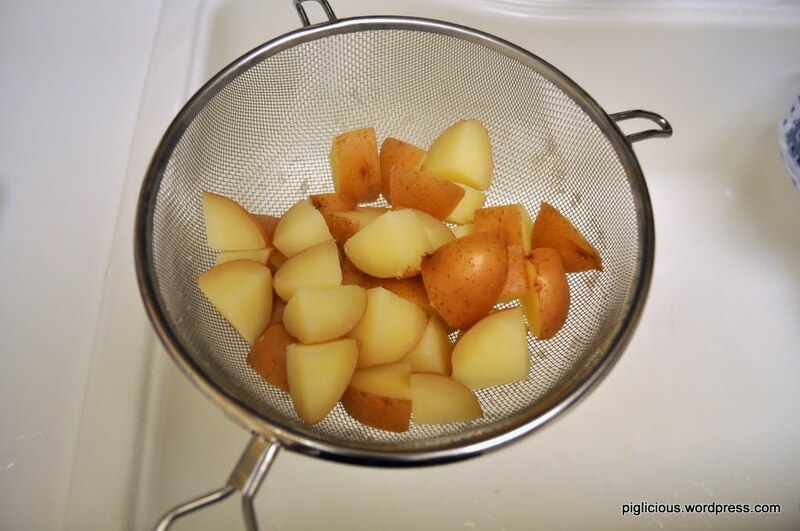 Then drain the potatoes with a strainer. 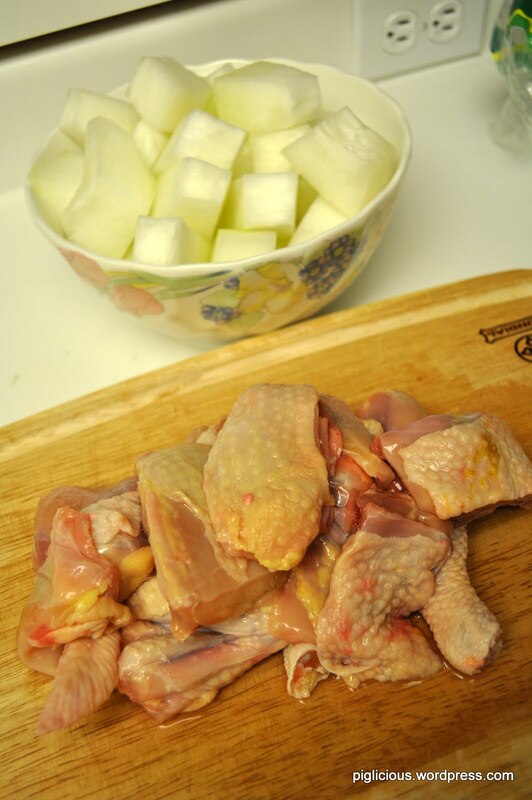 Place the chunks in a tupperware. 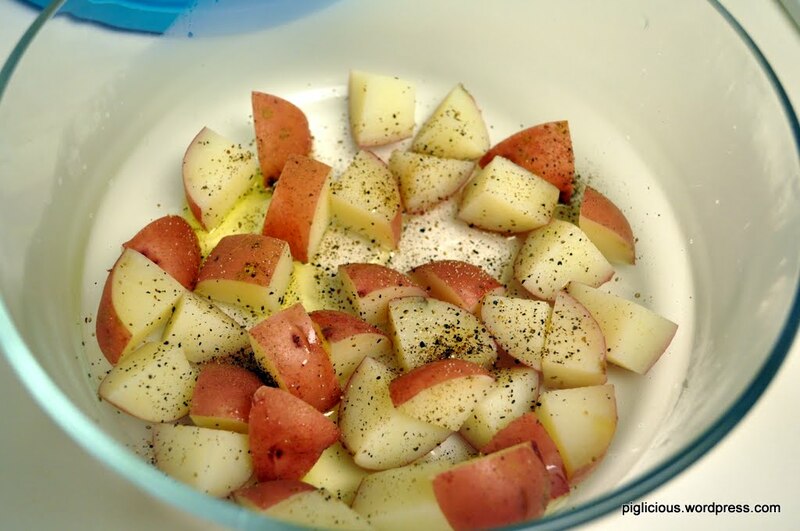 Sprinkle some salt, pepper, (rosemary), and pour some olive oil in. Put the lid on the tupperware and shake it up and down and side to side a couple of times. 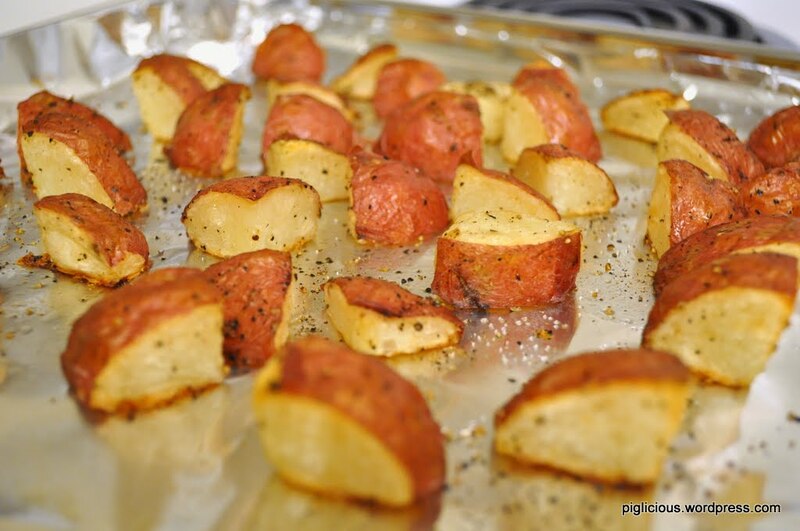 Doing this allows the skin on the potato to lift a little so that when the potato is baked, the skin will be crispier. 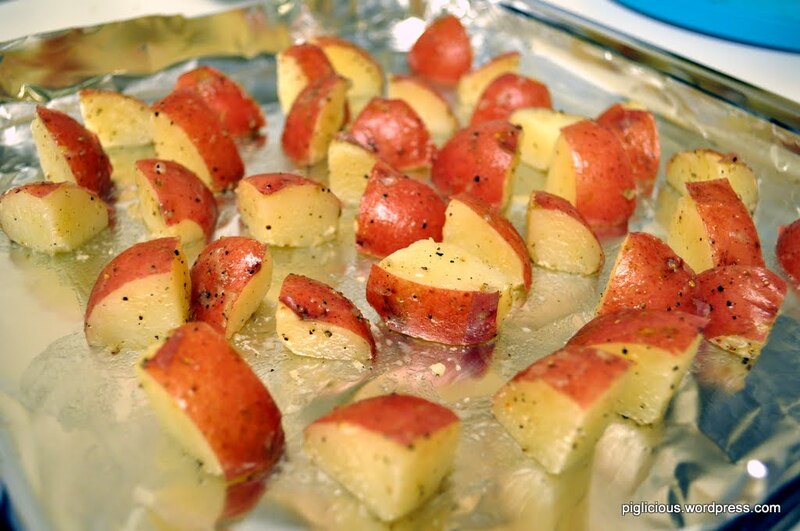 Spread the potato out onto the tray. Sprinkle some more salt and pepper if you like. 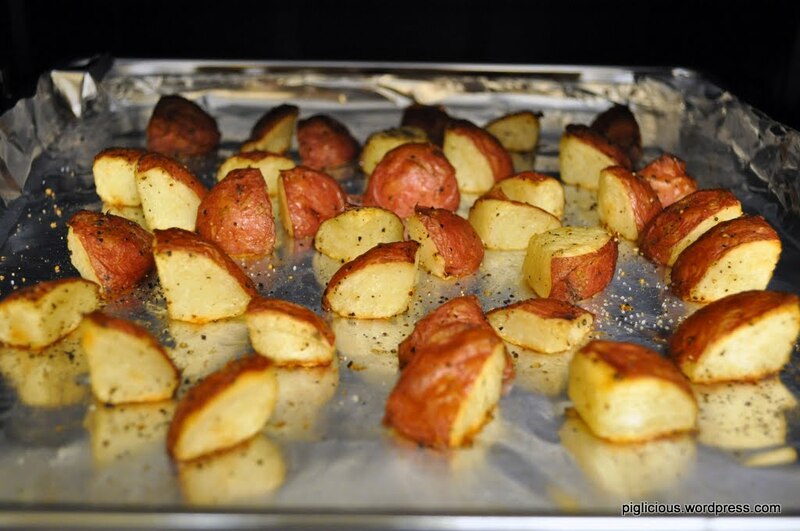 Bake for 20-25 mins or until a little darker than golden brown. 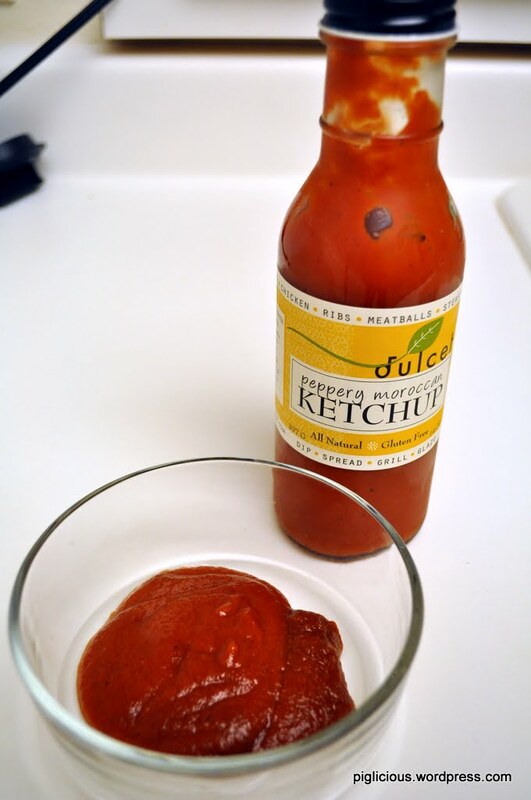 Peppery Morrocan ketchup is very good with this! It’s basically the same way I make my daikon carrot chicken soup, but with winter melon instead. 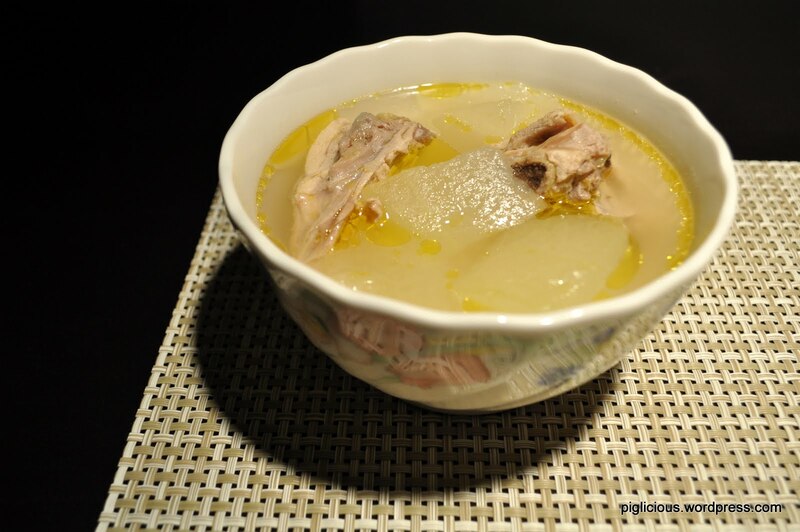 For chicken soups, I like to use brown long kong chicken or brown yellow chicken from asian markets (99 ranch specifically because I find their chicken to be the most fresh). They sure make flavorful chicken soups. 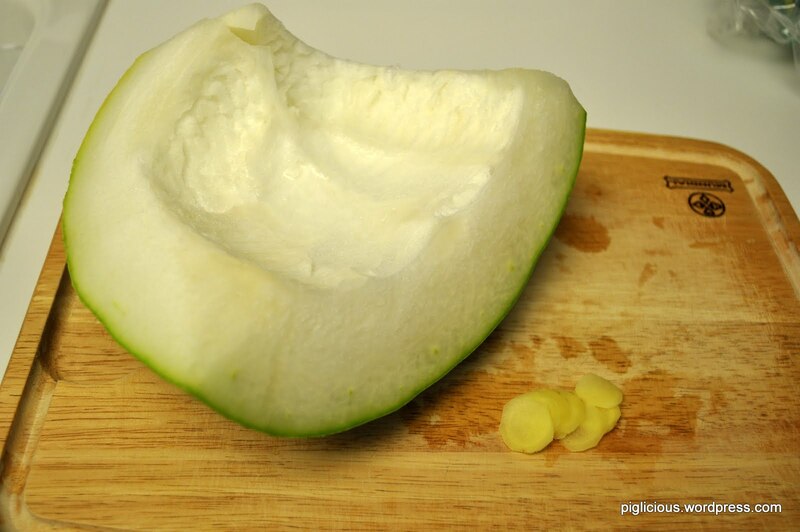 Cut the winter melon: First slice the outer green skin off and then cut into smaller pieces. 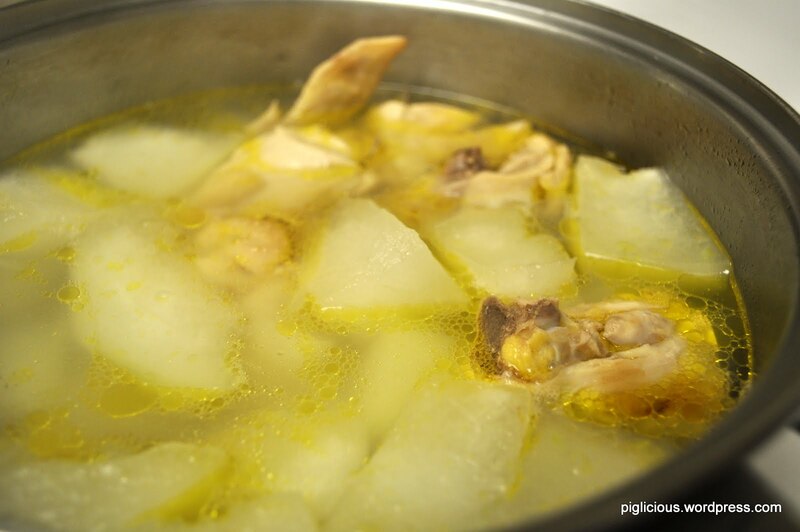 Add the winter melon in and try to soak most of it in the soup. 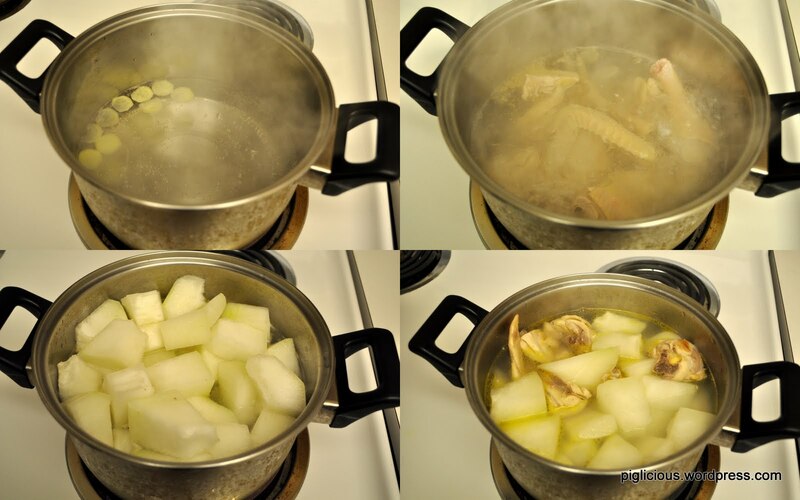 Add 1/4 teaspoon of salt first and use the ladle to mix the salt into the soup. (For the salt, start out with a small amount and if it isn’t salty enough after the soup is cooked, you can always add a little more.) Place the lid back on. Wait for it to reach a boil (about 5 mins) and then turn the temperature down to medium low. It should take about another 15 mins for the winter melon to cook. 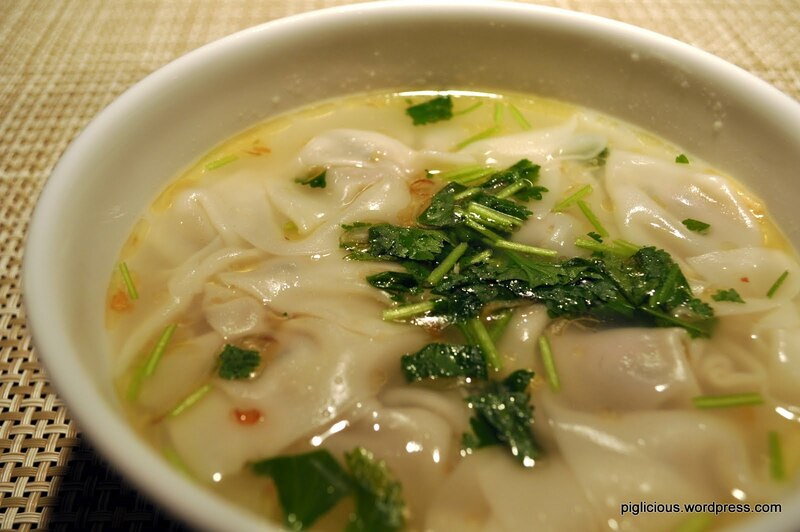 Since the last time I made wonton soup, I’ve asked around and received a couple of suggestions. I decided to go with my friend Vicky’s suggestion of using pork and green onions (instead of pork, shrimp, and cilantro). 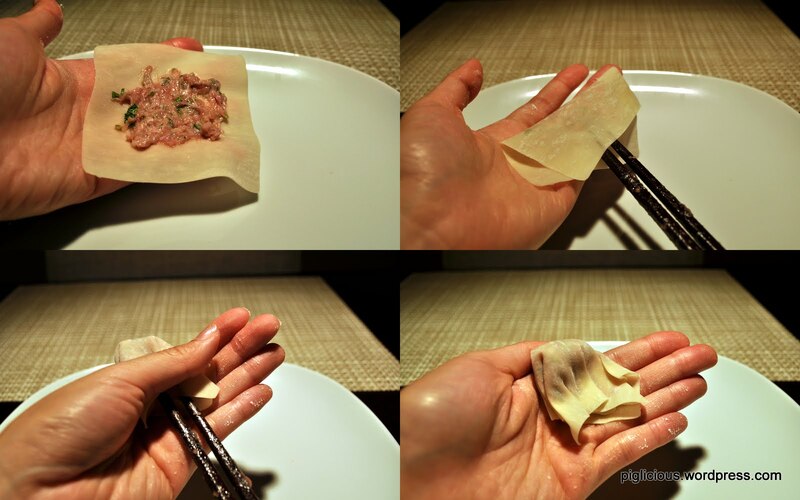 The method of wrapping the wontons is exactly the same. One thing I did do different this time around was that I made sure the filling was spread out fairly thin before wrapping it. After cooking the wontons from last time, I realized that the filling to wonton skin ratio was overpowering. The filling was too thick and by the time the filling was done cooking, the wonton skin was already overcooked and the filling was falling out of the wonton skin.. So, make sure to spread that filling quite thin. Thanks to Vicky’s suggestions, my wontons were much better this time around!